The biopic on Prime Minister Narendra Modi has been making headlines since its inception. 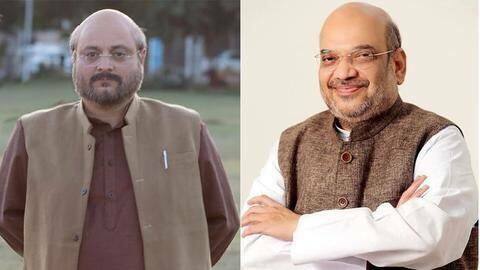 Vivek Oberoi will be seen playing the character of Modi in the film but the story of our PM will be incomplete without Amit Shah that is why the makers have roped in Manoj Joshi for the role. The first look of Joshi as Shah got released today and he looks quite convincing.